Bryn Mawr Dance Camp is a summer adventure for girls entering 5th-10th grade who just gotta dance! We combine nearly a century of summer camp tradition with the latest and greatest in dance instruction to give campers the best of both worlds: A classic summer camp experience filled with opportunities for learning, creating and performing dance of all kinds. Bryn Mawr Dance Camp is presented by Lake Bryn Mawr Camp, one of the oldest traditional all-girls sleepaway camps in the United States. At LBMC, we specialize in providing enriching, meaningful and character-building summer experiences for girls and young women. Dance Camp packs all the spirit, tradition and fun of a summer at camp into two-week sessions tailored specifically for girls who love to dance. In our supportive, caring, all-girls environment, dancers are empowered to try new things and push themselves to grow and improve. Campers are encouraged to dance motivated by their own goals, whether they want to focus on specific skills with an eye on their next competition or simply grow in their love of dance as recreation and creative expression. At Bryn Mawr Dance Camp, we strive to give campers an enriching dance experience along with a summer camp adventure to remember! Campers attend four periods of dance instruction each day, working on new skills and combinations. 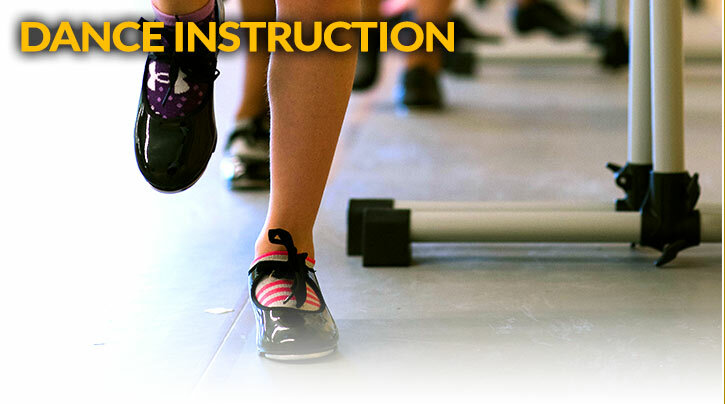 Our curriculum is designed to introduce and explore multiple genres of dance during each two-week session. 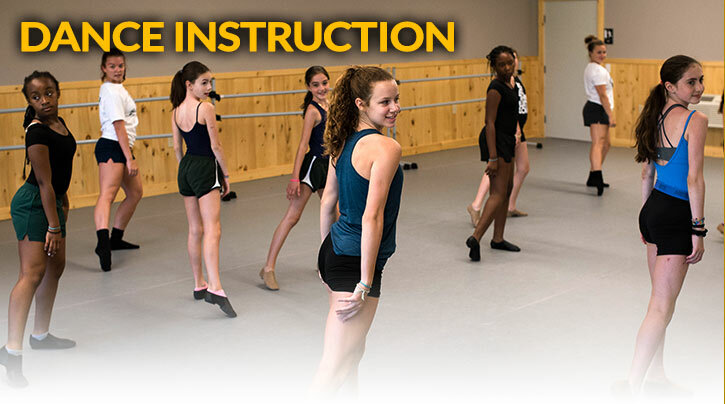 A traditional class focused on technique and helping campers connect elements of classical training into other genres of dance. Dancers will explore new ways to move with floorwork and methods of improvisation used in multiple schools of modern dance study. Dancers develop musicality, strength, and control in parallel positions through classical jazz combinations. Character is front and center in this class, where campers will learn about musical theatre dance styles and choreographers. Our upbeat urban dance classes focus on street dance, breaking, and popping and locking. In our traditional tap classes, campers work on style and technique while building fundamentals, coordination and speed. Campers will develop their movement vocabulary while learning to tell a story in dance that incorporates technical elements of ballet, modern and jazz. Plus improvisation and dance composition, Acro/Tumbling, and more! Bryn Mawr Dance Camp is held at Lake Bryn Mawr Camp, located on an 86-acre campus with every facility and activity a camper could ask for. From outdoor adventure on the challenge course to waterskiing and paddleboarding on the lake to meals in the spacious, spirited dining hall, Bryn Mawr's facility is second to none. In the evenings, dancers will enjoy our lakeside campfire site, all-camp games on Main Campus, and the outdoor amphitheatre where we frequently hold special events. At the heart of the Dance Camp experience is our brand-new dance and fitness facility, opening in the summer of 2018. This beautiful building has 6,200 square feet of studio space expressly designed for the study of dance. Specialty spring floors provide the safest and most comfortable dance surface possible, while one studio is outfitted specifically for tap dance. Each 1,000-square-foot studio is equipped with barres and wall-to-wall mirrors, and the building is air conditioned for dancers' comfort. It's rare to find a person who possesses the unique combination of a lifetime of dance training, a deep dance performance resume, years of experience teaching dancers of all levels, and a passion for and background in summer camp leadership. Our Dance Camp Director, Liz Cozad, has it all and more! An Ohio native, Liz earned her Bachelor of Fine Arts degree in dance from Wright State University, where she danced with the WSU Dance Ensemble. Trained in styles ranging from classical ballet to hip hop, Liz has worked as a dancer, instructor and choreographer for more than two decades. She has studied and worked behind the scenes with highly regarded dance companies including the Royal Winnipeg Ballet, the Dayton Ballet and the Moscow Ballet. As Director of Instruction at Lyn's Academy of Dance, Liz choreographs for the academy's competition teams, winning regional awards for her work. She is also ballet and modern dance instructor at Ohio Northern University, where she has performed with and choreographed for the ONU Dance Ensemble, earning recognition for her work from the Ohio Federation of Music Clubs. A passionate believer in using one's abilities to spread positivity, Liz shares dance with young people outside the studio as well. She has worked for several years with the Drug Enforcement Administration Youth Dance Program, a national initiative sponsored by the DizzyFeet Foundation that promotes drug prevention through the arts. She also collaborates with TeachArts Ohio, bringing dance to local city schools. If there's one thing Liz knows as much about as dance, it's summer camp. Liz joined the staff of Lake Bryn Mawr Camp in 2001 as director of the dance program. For nearly two decades, she has worked with Bryn Mawr campers and staff members in and out of the dance studio as a key member of the camp leadership team. From planning special events to supervising trips, training staff members and guiding the development of Bryn Mawr Dance Camp, Liz has embraced and experienced every area of camp life and has a unique understanding of what makes a successful camp experience for girls. Counselors are a huge part of the camp experience - they set the tone and provide leadership in the studio, in the cabin, and during camp activities. 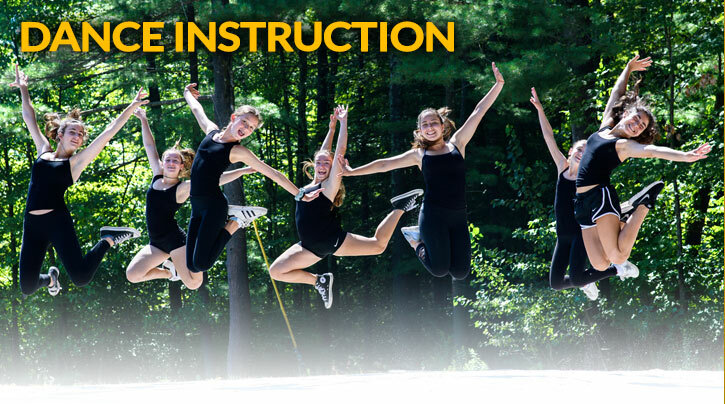 In addition to being trained dancers and experienced dance instructors, Bryn Mawr Dance Camp staff are trained to help campers adjust to camp life. Your camper will always be able to count on having a trusted counselor nearby to answer her questions, tell her a joke, or help her make a friend. Camper safety - both physical and emotional - is our staff's top priority. Camp days are busy days! 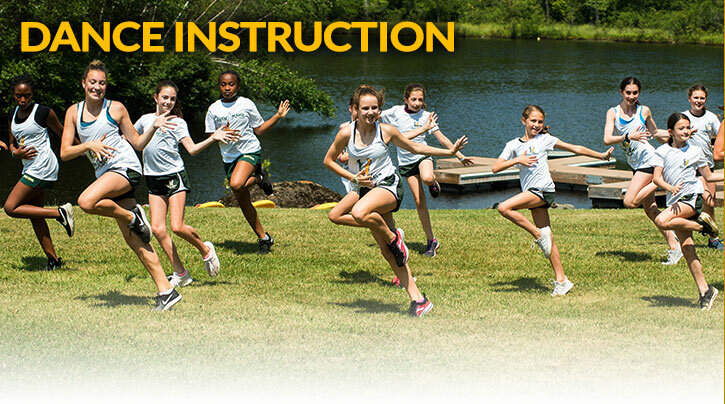 Along with daily dance classes, campers will enjoy unique activities like ropes course adventure and teambuilding, fun on the lake, spirited talent shows, all-camp games, outings, and more. They'll be supervised throughout by our caring and experienced camp staff. Campers will attend four periods of dance instruction each day, along with one period of camp activities such as inner tubing, stand-up paddleboarding, outdoor adventure and arts and crafts. Free Time: A supervised but unstructured period when campers can work on small art projects, nap, write home, play jacks, etc. Traditional Camp Activity Period: Tubing, Ropes Course, Lake Activities, Arts and Crafts, Cooking, and more! One day each week will be designated to working with a guest artist or taking a day trip to work with dance professionals in the Tri-State area. Campers will also have the opportunity to participate in a variety of unique dance activities and traditional camp special events. Our West Lodge is home base for Dance Camp participants during their stay at Bryn Mawr. Cozy and comfortable, the West Lodge features four separate bunk rooms as well as its own bathrooms and private showers. A long day of dance instruction demands a full fuel tank. Fortunately, we guarantee even the pickiest eater will enjoy mealtime at Bryn Mawr! We serve three healthy meals every day in our sunny, air-conditioned dining hall, with a variety of choices that always include fresh fruits and vegetables. Between meals, campers stay satisfied with afternoon and evening snacks. Our chefs are skilled at keeping campers both happy and healthy, and we will do our best to meet special dietary needs. Camp uniform has always been part of the Bryn Mawr tradition, both for the sense of community inclusion it fosters and because it keeps the focus off clothes and on the dance floor. Outside of the dance studio and around camp, dancers will wear camp uniform., purchased from Everything Camper, our camp outfitter. 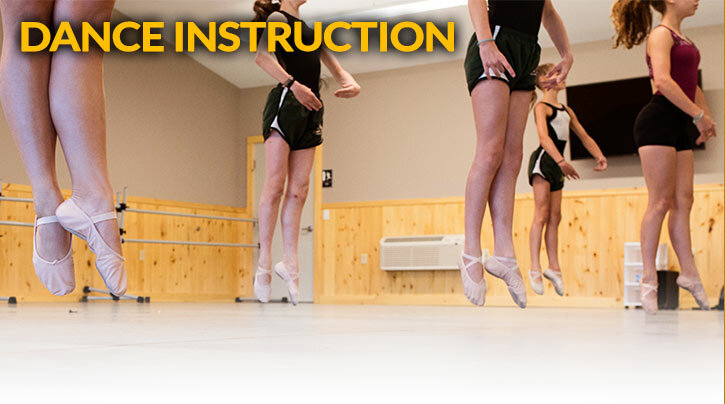 Campers should bring ballet slippers, jazz shoes, and their tap shoe of preference. Character shoes for Musical Theatre are optional. Dancers must wear a slipper for ballet (no bare feet or dance paws). Deposit is half of tuition. Balance of camp fee must be paid in full prior to April 1, 2019. Deposits are refundable until March 1. Refunds after March 1 are at the discretion of the directors. Uniform may be purchased from our official camp outfitter at everythingcamper.com. Can dancers who are enrolled in both sessions stay over the weekend in between sessions? Absolutely! Dancers may enroll for both sessions and stay at camp over the weekend. They will be supervised by our Dance Camp staff. Does Dance Camp require an audition? No audition necessary—just a passion to dance and learn! All Dance Campers arrive on camp at 11 a.m. Your counselors will greet you and show you to the West Lodge, your home for the next two weeks! You'll meet your bunkmates and your family will enjoy a brief tour of camp. After a barbecue lunch with campers, parents and staff, your parents will depart and camp will begin. How will dancers be grouped for instruction? Upon enrollment, our Dance Camp Director, Liz Cozad, will contact your family to learn more about your daughter's dance background and discuss our program offerings. On the first day of instruction, we will observe all campers and place them in instruction groups with campers of similar ability. A dancer's skill set, rather than age or the number of years she's been dancing, will be used to determine her cohort for the camp session. Can you meet my special dietary need? Our kitchen can accommodate most allergies and other dietary needs. We are a “nut aware” camp, and we do not use or purchase any products containing nuts or manufactured in a facility where nuts may be processed. We can accommodate celiac disease as well as dairy and egg allergies, and we have a separate kitchen where food can be prepared according to special procedures. What is the background of a typical Dance Camp staff member? Bryn Mawr Dance Camp staff are dance majors and graduates from colleges and universities around the country. 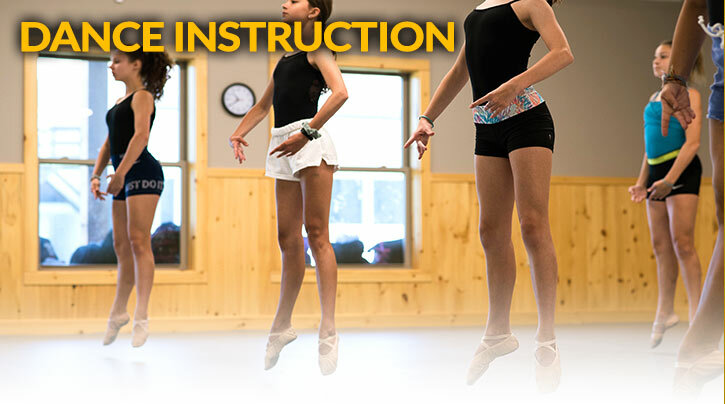 Each comes to camp with a unique set of skills and expertise in her area of dance study. Founded in 1921, Lake Bryn Mawr Camp is one of the oldest and longest-operating traditional girls' sleepaway camps in the United States. For generations, our campers have learned to embrace the camp values of Loyalty, Beauty, Merit and Comradeship, and to carry those values with them all year round. At Bryn Mawr, we specialize in girls and their unique needs. In our all-girl environment, free from distractions and pressure to look or act a certain way, campers have the confidence to try new things, grow, learn, perform and shine in surprising ways! Our goal is to foster an environment in which campers develop leadership, constructive communication, and problem-solving skills. Bryn Mawr Dance Camp will offer two sessions for girls in grades 5th-10th during the summer of 2019. Sleepaway Dance Camp sessions begin June 30th and end July 26 in 2019. Since 1921, Lake Bryn Mawr Camp has been a home away from home to generations of campers. Register your dancer today for a summer camp experience sure to create memories and friendships that last a lifetime. C. Bryn Mawr Dance Camp and other trademarks and/or service marks (including logos and designs) found on the Web Site are trademarks/service marks that identify Lake Bryn Mawr Camp and the goods and/or services provided by Lake Bryn Mawr Camp. 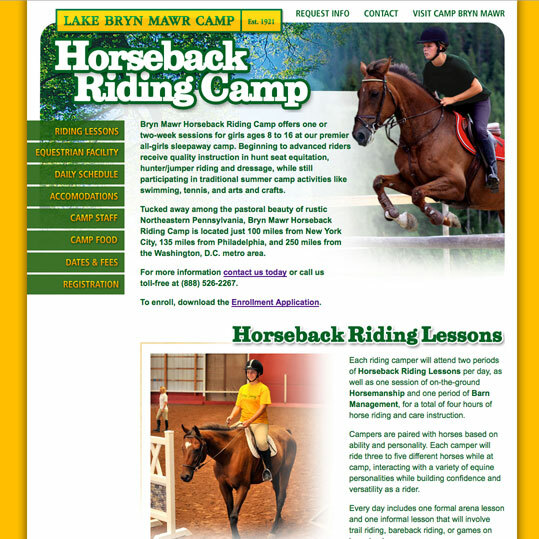 Such marks may not be used under any circumstances without the prior written authorization of Lake Bryn Mawr Camp.